DC may have had the first-mover advantage with Wonder Woman, but Captain Marvel will benefit from the changing gender politics and probably carry the momentum forward for Wonder Woman: 1984". There is always the next Avengers movie to satiate the never-dying hunger for costumed saviours but "Captain Marvel", the first female superhero stand-alone from Marvel Studios, is set to make a timely landing in the post #MeToo era in Hollywood. DC may have had the first-mover advantage with "Wonder Woman", but "Captain Marvel" will benefit from the changing gender politics and probably carry the momentum forward for "Wonder Woman: 1984". They may be arch rivals but what unites Captain Marvel and Wonder Woman is intent. The two studios are catering to female audience, especially in the superhero genre, where women characters were subjected to "fridging", a term used to describe the female characters of superhero films where they are generally relegated in parts of supporting lover. But Brie Larson's heroine is no damsel-in-distress. And what makes "Captain Marvel" special that it has many firsts to its credit. It is the first Marvel female superhero movie, steered by an Oscar-winning actor, equally known for being a vocal women's rights activist. It is also the first time a female director, Anna Boden, is driving a superhero film in Marvel's stable with her "equal" collaborator of 20 years, Ryan Fleck. Larson, in an interview in Singapore, had told PTI that the film gave her a bigger platform to talk about feminism, a cause close to her heart. "I feel so lucky that I made my first blockbuster movie and I just get to talk about feminism all day. I never would have thought that was like a possibility for me. That's like my dream," the actor said last month. Boden said as challenging as directing the film was, it was also empowering to be at the helm of a big studio production. She, however, hoped that there comes a time when a female director for a superhero film becomes a norm rather than an exception. "It's 2019... And everybody here looks for the day when it is not newsworthy that a woman is directing this kind of movie," she said at press conference in Singapore. The theatrical release in India and the US on International Women's Day is an obvious move but the film is clear in its projection and reflection of a world that is going through campaigns like Time's Up. But the risks, no matter how calculated, cannot be ignored. It is the first attempt at a studio film as big as Marvel for the directors, who have indie, character-driven films like "Half Nelson" and "Mississippi Grind" to their credit. Shouldering a stand-alone introductory film of a female hero in the aftermath of Harvey Weinstein scandal is a big responsibility. The director duo said they did an "all expenses paid" course at 'Marvel University', where they were supported by the team well-versed with the MCU history, which was an unfamiliar terrain for them. 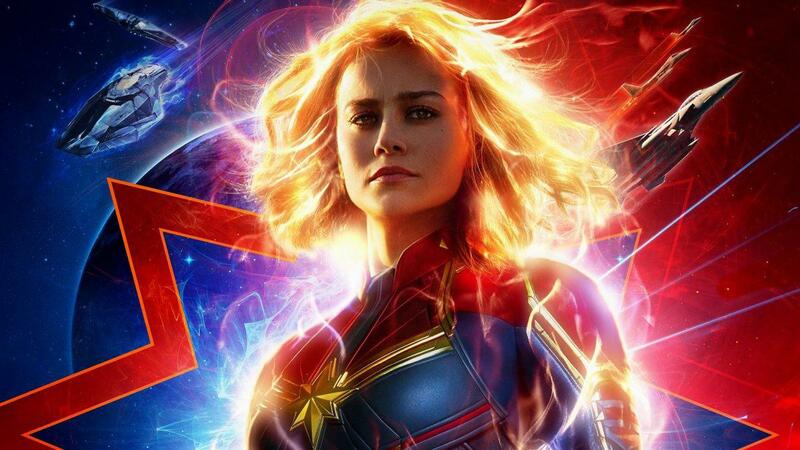 Despite the training, directing "Captain Marvel" was a "scary and humbling" experience for Boden though the directors don't feel any obligation towards "Endgame" where Captain Marvel is already set to play a integral role as the post-credit scenes in "Infinity War" revealed. "Honestly, since they won't tell us anything about 'Avengers' They have a lock and key on that, we feel no commitment and responsibility to that movie at all. We're just focused on our movie," she told PTI. 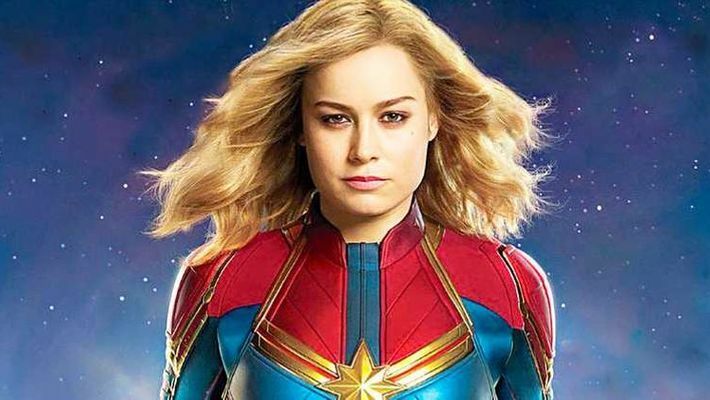 The film spells out its goal, clearly aided by dialogues that check all the trending words - feminism, female representation, diversity, racism and xenophobia moulded in signature Marvel-esque humour. 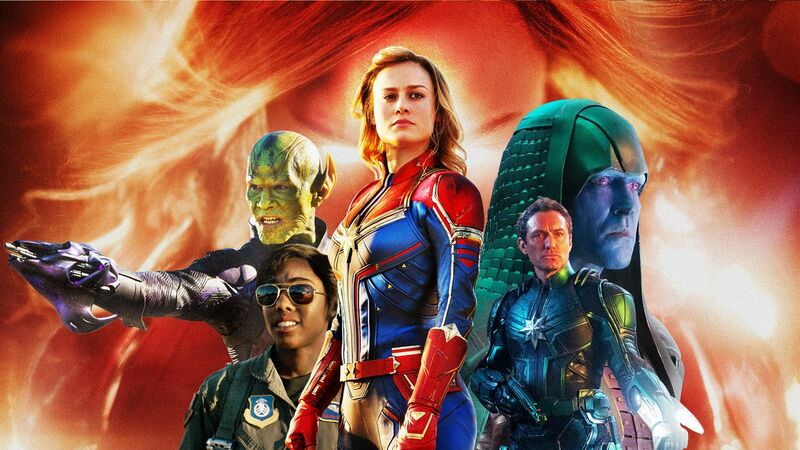 The world of "Captain Marvel" is populated by Samuel L Jackson's younger, simpler Nick Fury; multi-layered women in Gemma Chan's no-nonsense Min-Nerva, Lashana Lynch's instinctive Maria, Annette Bening's double stunner, Jude Law's focused Yon-Rogg and Ben Mendelsohn's Talos who one ends up rooting for. But what helps the film most is Larson's earnestness as the new hero on the horizon, who is capable of taking on Thanos in "Endgame". The film has its flaws like the character herself, but she is a suitable role model for female fans of superhero genre. All in all, a Marvel fan will walk out from the theatres with lots of trivia and '90s nostalgia.